Lord, may the payment of the five twins that have toiled, worked, labored, and planted good seed in a white field with a reed from the forest not be refused, but may they be saved from the fire of Gehenna! Yes, and amen! The “five twins” are the scribe’s ten fingers, the “good seed” is the writing, the “white field” is the paper, and the “reed” is the pen. At least some of this imagery is not unique to this manuscript. In any case we have a memorable way of thinking about a scribe’s labor. First, a general note: I’m under no illusion that a great host of people care about these little posts on Old Georgian, but for those few of you that may, please let me know if you find them to be of any use. How might they be made better? Now to the main object. The first chapter (and other parts) of Qohelet/Ecclesiastes never gets old, and several verses are good for learning basic vocabulary, etc. Here is Eccl. 1:8, Greek and Georgian (Oški/Jerusalem). καὶ οὐ πληρωθήσεται οὖς ἀπὸ ἀκροάσεως. და არცა აღივსოს ყური სმენითა. Bar Sini [sic], the Muslim [hāgārāyā] philosopher, made a treatise [Syr. eggartā = Arb. risāla], the thought of which he somewhere directs to the subject at hand. Achena, M. and Henri Massé. Le livre de science (Danishnama-yi ‘Ala’i) I: Logique, Métaphysique II: science naturelle, mathématique. Paris, 1986. Anawati, G. La Métaphysique du Shifa’ I-IV et V-X. Paris, 1978-86. Furlani, Giuseppe. “Avicenna, Barhebreo, Cartesio.” Rivista degli Studi Orientali 14 (1933): 21-30. ________. ”La psicologia di Barhebreo secondo il libro La Crema della Sapienza.” Rivista degli Studi Orientali 13 (1931-1932): 24-52. ________. “La versione siriaca del Kitâb al-išârât wat-tanbîhât di Avicenna.” Rivista degli Studi Orientali 21 (1945): 89-101. Goichon, A.-M. “Ibn Sīnā.” In Encylopaedia of Islam, 2d ed., vol. 3, 941-947. ________. Lexique de la langue philosophique d’Avicenne. Paris, 1938. ________. Livre de directives et remarques (al-Isharat wa’l-Tanbihat). 2 vols. Paris, 1951. Gohlman, William E. The Life of Ibn Sina: A Critical Edition and Annotated Translation. Albany, 1974. Hasse, Dag. Avicenna’s De Anima in the Latin West. London, 2000. Heath, Peter. Allegory and Philosophy in Avicenna (Ibn Sînâ). Philadelphia, 1992. Inati, Shams. Ibn Sina on Mysticism (al-Isharat wa’l-Tanbihat namat IX). London, 1998. ________. Remarks and Admonitions Part One: Logic (al-Isharat wa’l-Tanbihat: mantiq). Toronto, 1984. Janssens, Jules. Bibliography of Works on Ibn Sina. 2 vols. Leiden, 1991-1999. Janssens, Jules and Daniel de Smet, eds. Avicenna and His Heritage. Leuven, 2001. Joosse, Nanne Peter. A Syriac Encyclopaedia of Aristotelian Philosophy: Barhebraeus (13th c.), Butyrum Sapientiae, Books of Ethics, Economy, and Politics. Aristoteles Semitico-Latinus 16. Leiden/Boston, 2004. Mcginnis, Jon. Avicenna, The Physics of The Healing. 2 vols. Provo, 2009. Marmura, Michael. The Metaphysics of Avicenna (al-Ilahiyyat min Kitab al-Shifa’). Provo, 2004. ________. “Plotting the Course of Avicenna’s Thought.” Journal of the American Oriental Society 111 (1991): 333-42. Michot, Yahya. “La pandémie avicennienne.” Arabica 40 (1993): 287-344. Morewedge, Parviz. The Metaphysica of Avicenna (Ilahiyyat-i Danishnama-yi ‘Ala’i). New York, 1972. Rahman, F. Avicenna’s De Anima (Fi’l-Nafs). London, 1954. Rashed, Roshdi and Jean Jolivet, eds. Études sur Avicenne. Paris, 1984. Reisman, D. and Ahmed al-Rahim, eds. Before and After Avicenna. Leiden/Boston, 2003. N. G. Siraisi, Avicenna in Renaissance Italy: The Canon and Medical Teaching in Italian Universities after 1500. Princeton, 1987. Takahashi, Hidemi. 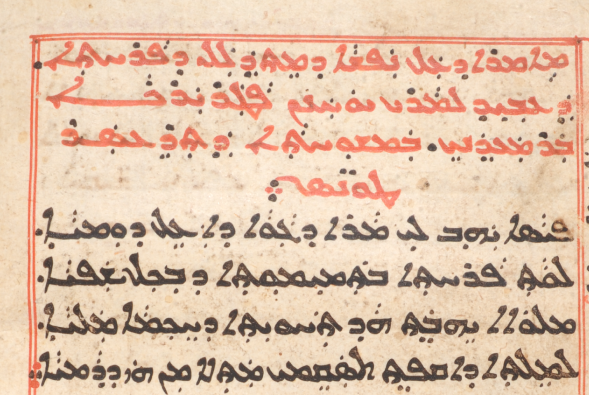 Aristotelian Meteorology in Syriac: Barhebraeus, Butyrum Sapientiae, Books of Mineralogy and Meteorology. Aristoteles Semitico-Latinus 15. Leiden/Boston, 2004. ________. “The Reception of Ibn Sīnā in Syriac: The Case of Gregory Barhebraeus.”, In Before and After Avicenna (see above), 249-281. Teule, Herman G.B.”Renaissance, Syriac.” GEDSH 350-351. ________. “The Transmission of Islamic Culture to the World of Syriac Christianity: Barhebreaus’ Translation of Avicenna’s kitâb al-išârât wa l-tanbîhât. First Soundings.” In J.J. van Ginkel, H.L. Murre-van den Berg, and T.M. van Lint, eds. Redefining Christian Identity: Cultural Interaction in the Middle East since the Rise of Islam. Orientalia Lovaniensia Analecta 134. Leuven: Peeters, 2005. Pages 167-184. ________. “Yuḥanon bar Maʿdani.” GEDSH 444. 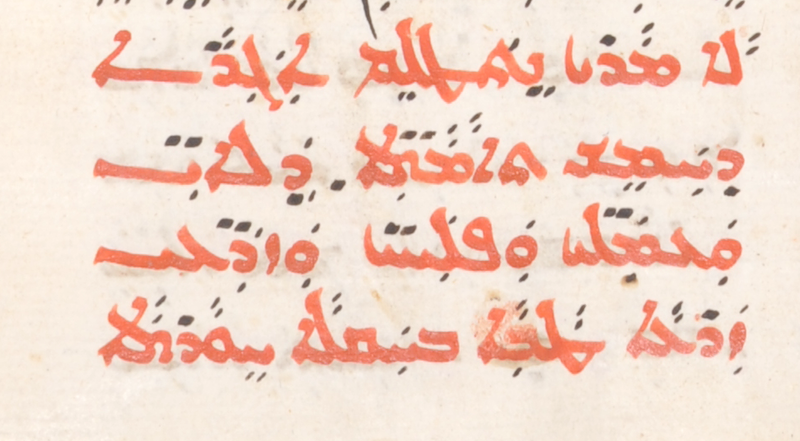 Watt, John W. Aristotelian Rhetoric in Syriac: Barhebraeus, Butyrum Sapientiae, Book of Rhetoric. 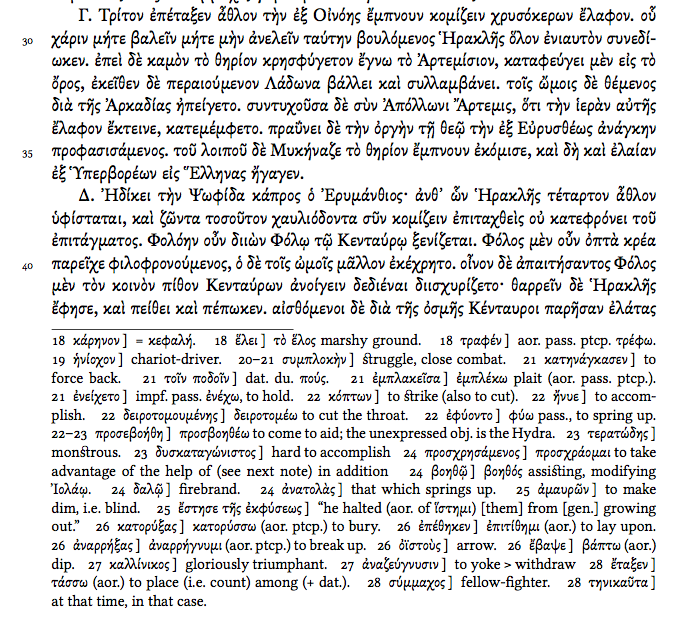 Aristoteles Semitico-Latinus 18. Leiden/Boston, 2005. ________, “Graeco-Syriac Tradition and Arabic Philosophy in Bar Hebraeus.” In H.G.B. Teule, C.F. Tauwinkl, R.B. ter Haar Romeny, and J.J. van Ginkel, eds. The Syriac Renaissance. Eastern Christian Studies 9. Leuven/Paris/Walpole, Mass., 2010. Pages 123-133. I had the pleasure last summer of meeting Amsalu Tefera during the EMML @ 40 conference, which took place at HMML to celebrate the fortieth anniversary of the Ethiopian Manuscript Microfilm Library (EMML). The proceedings of that conference will, we hope, be published before year’s end. At the conference, Amsalu read a paper on the Gǝʕǝz hagiographic witness to a relatively little known saint of Egypt by the name of Sarabamon. We look forward to the fuller work on Sarabamon in Amsalu’s paper to appear in the aforementioned volume, but he has very recently offered a short guest post at Alin Suciu’s blog. On this day the holy Sarābāmūn the bishop, bishop of Nikiu, was martyred. He was of the family of Stephen [Istīfānūs], of the tribe of Judah, from Jerusalem. The name of his father was Abraham [Ibrāhīm] b. Levi [Lāwī] b. Joseph [Yūsuf], brother of Simon [Simʿān], the maternal uncle of Stephen. At his birth, they named him Simʿān after his grandfather. When his parents died, he wanted to become a Christian, then an angel of the Lord appeared to him and commanded him to go to the bishop, Anbā John [Yūḥannā]. When [Simon] reached him, [Anbā John] told him of the secret of the incarnation of the Lord Christ, but he did not dare to baptize him in Jerusalem because of his fear of the Jewish people and he remained uncertain as to what he should do. Then the Lady [Mary], the bearer of God, appeared to him, and she told him that he should go to Alexandria to [p. 274] Patriarch Anbā Theonas [Tāʾunā]. The angel of the Lord accompanied him in the appearance of a person until he reached Alexandria, the angel having previously told the patriarch his situation. The patriarch rejoiced in him, preached to him, and baptized him. He [Simʿān] then became a monk in the Zuǧāǧ monastery. Then, when Patriarch Anbā Theonas went to rest [i.e., died, tanayyaḥa], and they installed Peter [Buṭrus] in his place, he [Peter] summoned him to assist him with the patriarchal duties, and thereafter he ordained [karrazahu = karrasahu] him as bishop over Nikiu. The church rejoiced in him greatly and the Lord manifested at his hands many signs and miracles. Near his city were ancient Egyptian temples [barābī], in which they would worship the idols [al-awṯān, and he did not stop asking of the Lord Christ that they be obliterated and destroyed. The water rose and covered them, and he uprooted the worship of the idols from his see completely. He put a stop to the blasphemy of Arius, who made the Father, the Son, and the Holy Spirit out to be a single substance [aqnūm]. Then, since Diocletian was an infidel, and they told him that the holy Sarābāmūn was destroying the worship of the idols, he commanded his presence before him. When he reached Alexandria with the envoys, Patriarch Anbā Peter and a group of priests came to him in prison and greeted, and they saw his face like [the face] of the angel of the Lord. When he came to the emperor, he [Diocletian] tortured him with various tortures, but the Lord Christ was keeping him without pain, and a large group believed because of him. Then, since the emperor feared that, if he continued to torture him, then they would believe even more, he sent him to Upper Egypt [al-ṣaʕīd], to Arianus the governor and to the city of Antinoë, for him to torture him and to take off his head, but it happened that Arianus the governor was then in Alexandria. When he boarded the boat with him — they were heading to Upper Egypt — and the boat reached Nikiu, his town, they were unable to move it from its place. Then, when they disembarked [p. 277] with the saint into the town’s river, they cut off his head. He obtained the crown of martyrdom, and his people took him in great honor and carried him to the church. May his prayer and his blessing be with us, amen!